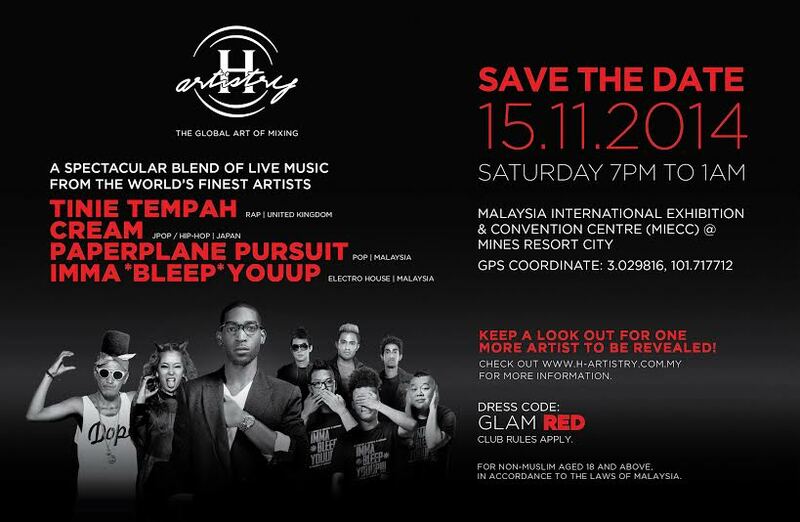 After the great success of H-Artistry Penang, H-Artistry promised another epic not-to-be-missed party experience! Well here it is! Like the title states, "Save the Date"! Because one of you will win a pair of H-Artistry invites from me ;). Continue reading to find out more. 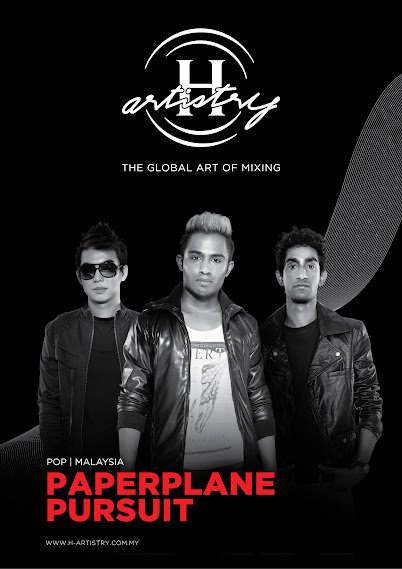 This signature super-clubbing event will take place at the Malaysia International Exhibition and Convention Centre (MIECC) in Mines Resort City on 15 November 2014, 7pm. Get ready to be pumped by H-Artistry's signature super-clubbing party experience with an eclectic mix of sights, sounds, and taste. For more info, please log on to, log on to www.h-artistry.com.my. This event is for Non-Muslim and aged 18 and above. So who are the lineup of artists this time around? Tinie Tempah, London's born international award winning artist. He is famous for his #1 hit on the UK Singles Chart debut single "Pass Out". Cream! They are Japan's newly formed mainstream group, and are famous for their lead-single, "Shooting Star" in their debut album, "DREAMIN". The album was ranked No.1 on the iTunes Top Song Chart. Pop duo, Malcolm Kelly and Tony Oller, also known as MKTO! They are famous for their debut single, "Thank You"
Of course not forgetting our very own local pop band, Paperplane Pursuit and trio from Imma*Bleep*YouUp. I'm sure most of you guys heard of them before? Well because I think they are awesome! and "Live Forever". 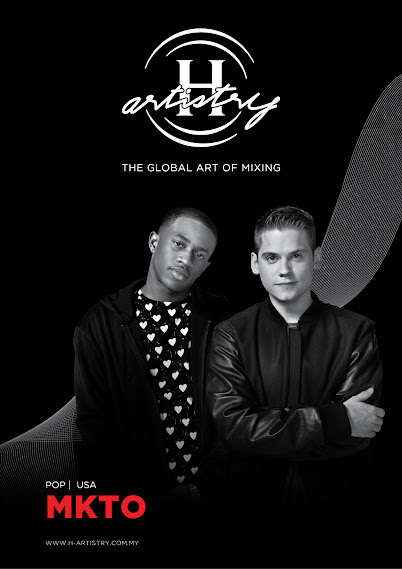 These singles are inspired by H-Artistry's very own unique Global Art of Mixing platform that has connected the two artists even though they are from different genres and styles. H-Artistry Finale, definitely can not be missed! 4. Private Message me on my FB Page, your Facebook and Instagram name, for my reference. Contest Ends: 12 Nov, 2014. Contest opens to Malaysia only.